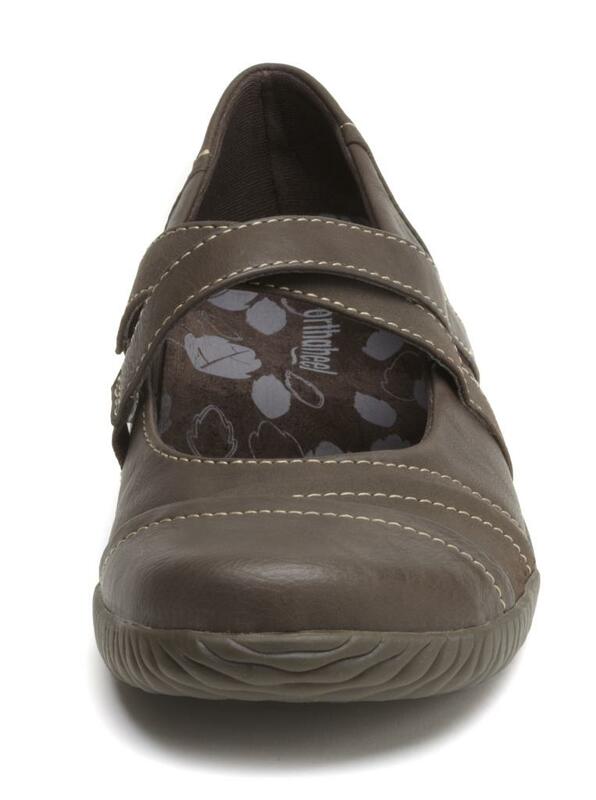 Orthaheel Carey is a versatile mulit-panel Mary Jane slip-on features contrast stictching and cross-strap. 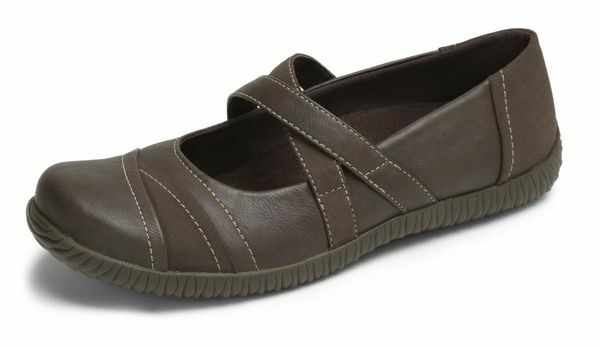 Comes with removable orthotics and in two colors- Black and Chocolate. Medium Width. Orthaheel items shipped Fast and Free, most items ship via 2-3 day shipping and all of the Orthaheel items have free return shipping! 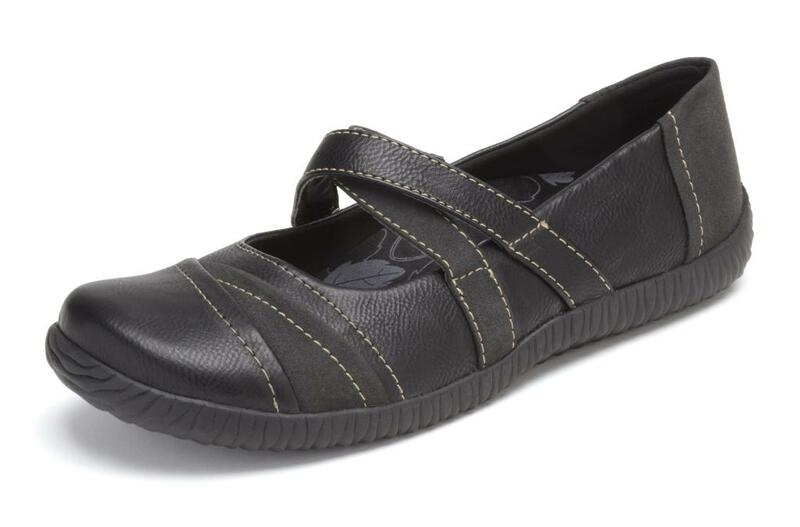 Orthaheel Carey is a versatile mulit-panel Mary Jane slip-on features contrast stictching and cross-strap. Comes with removable orthotics and in two colors- Black and Chocolate. Medium Width. 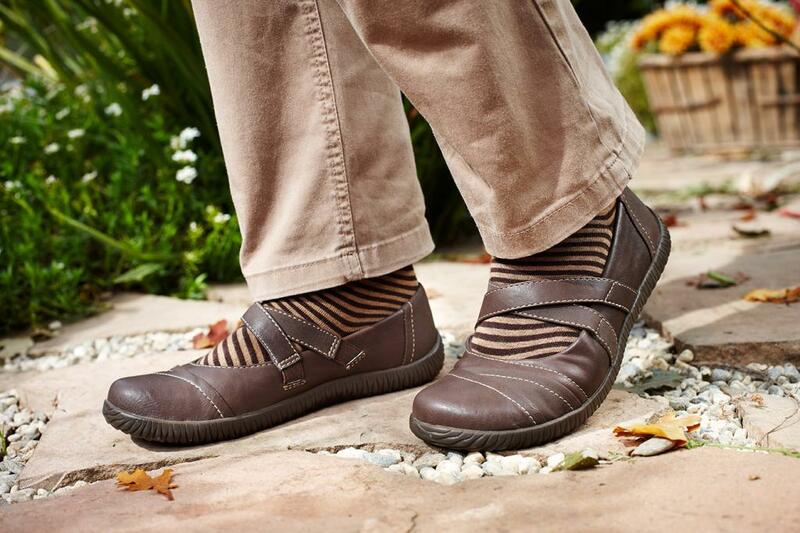 Comes with removable Orthaheel Orthotic Technology. High quality- man made uppers with unique styling and comfort adjustability. Premium 'Active' removable biomechanical orthotic footbed that supports your feet and helps realign the lower legs for all day comfort. Rubber outsoles with unique wave-patterened tread for improved traction. 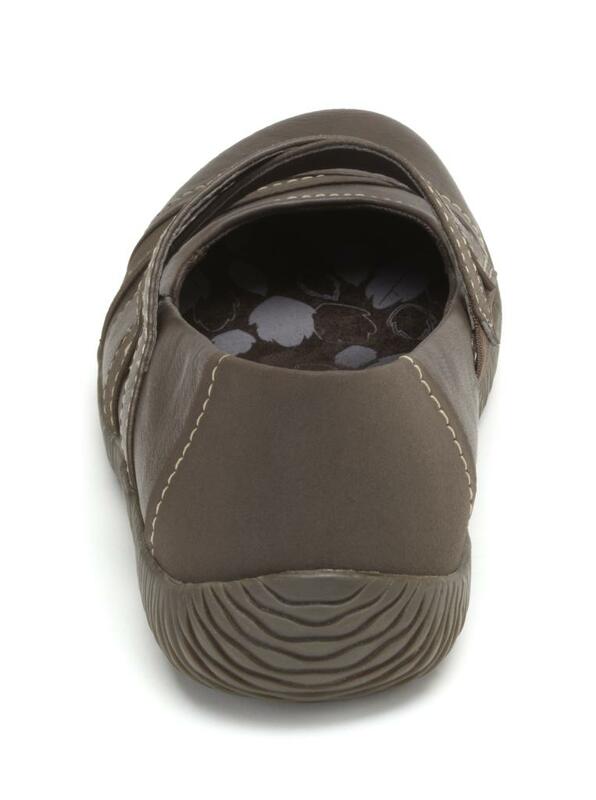 EcoFresh anti-microbial- odor-reducing footbed and linings. Break-in note: If you have not worn orthotic supports before, it is important to allow yourself and your feet some time to adjust to the new support. We suggest you wear the Orthaheel Footwear 2-3 hours for the first 2-3 days. After this initial break-in period, wearing the shoes all day should be comfortable and enjoyable. Some individuals take longer to adjust to the support, while others feel the benefits and comfort as soon as they start wearing them.